Junior midfielder Meg Tveit and the rest of the Crimson will have to wait, as Wednesday night's game against Boston College was postponed due to Hurricane Florence. 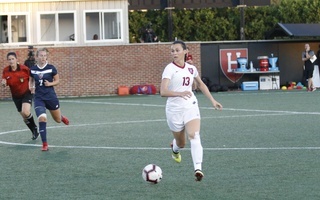 The Harvard women’s soccer team saw its matchup against Boston College on Wednesday night called off due to scheduling complications related to Hurricane Florence. With steady rainfall throughout the day and a trip to North Carolina looming for the Eagles this weekend, school officials agreed to postpone the game indefinitely. 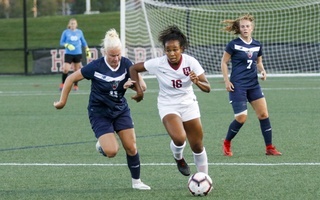 The contest would have marked the culmination of the Crimson’s first full month of the season, with its players having come together for the first team meeting of the preseason on August 12th. In place of the game, the Crimson held a full 11-on-11 scrimmage during its practice on Wednesday night. The team this year is larger than in seasons past, giving it the luxury of playing a competitive scrimmage to stay sharp. With a freshman class that is ten players strong this year, Harvard was able to field two whole, healthy squads while still having some players dealing with injuries serve as referees. The team will hope that the scrimmage bolsters depth in place of the missed game experience as it prepares for conference play. The two-game swing against crosstown rivals was intended to gear the Crimson up for next Saturday’s Ivy opener at Penn. Both Boston College and Northeastern have been playing at a high level so far this year, with the Eagles currently sporting a perfect 8-0-0 record and the Huskies picking up big wins against UConn and BU. In its previous seven games, Boston College conceded just one goal to opponents, stringing together a streak of six consecutive shutouts. This Sunday’s showdown with Northeastern is all that remains now for Harvard before it plunges into an Ivy slate that features four away games. 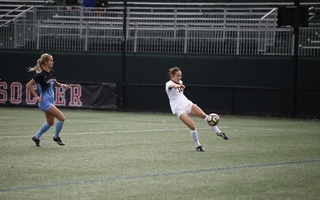 After making a run to the CAA Championship game last season, the Huskies have started slower this year but still boast a potent attack spearheaded by all-conference senior forward Hannah Rosenblatt. The Northeastern defense features several players who were named to All-CAA teams at the end of last season as well. Senior Eve Goulet and sophomore Julianne Ross are among the returners, while new addition Grace Moore has also started every game in the back line so far for the Huskies. 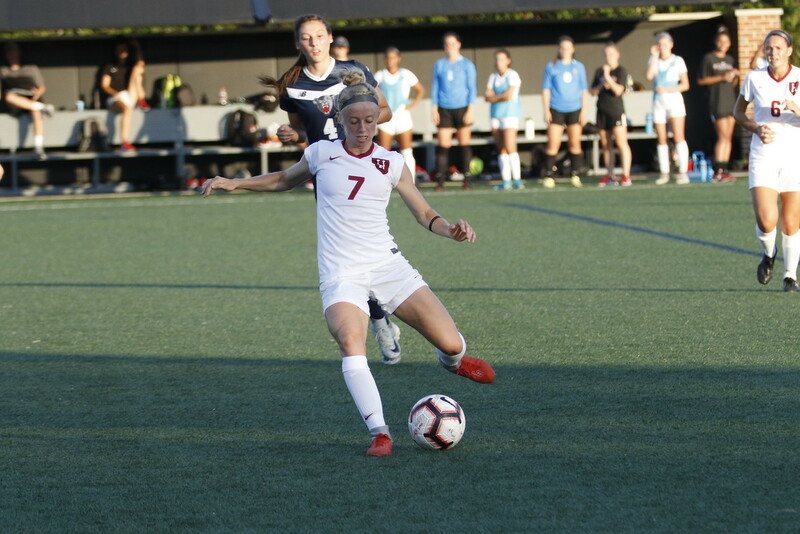 The Crimson will counter up top with star midfielder Leah Mohammadi, who leads the team with three goals, as well as freshman Sophie Hirst and sophomore Murphy Agnew. Hirst is second on the team with two goals and added a first collegiate assist to her name last Sunday at Providence. 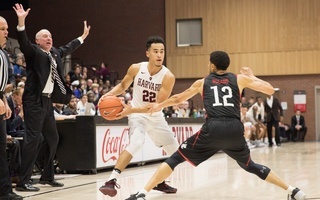 Once Harvard kicks off against Northeastern, the team will have faced competition from seven conferences this season, including the Pac-12, ACC, and Big East. After pulling through for an overtime win on Friday, the Crimson could not pull off back to back wins.